When it came time to decide on a public school for our 4-year-old daughter last spring, it ultimately came down to a choice between two very different language immersion programs: Spanish or Chinese. So, our decision came down to this: If our daughter was ever going to learn Chinese – or Arabic, Korean, Japanese or any other language that has completely different roots, characters or tones, thereby making it more difficult for English speakers to learn – now was the prime time to immerse her in it. Plus, language is the gateway to understanding a culture, and we very much want to cultivate an appreciation of other cultures in our little girl. So, we took the plunge. In late August, our daughter started pre-K in her new Chinese language school, which is taught in 100% Mandarin this year. I was nervous at first, but she was fearless on her first day. I think much of what her teacher was saying those first few days went over her head, but no matter. By the second week she had learned simple phrases: greetings, rules to follow, directions given by the teacher. And by now, well, she’s reciting ‘Brown Bear, Brown Bear, What Do You See?’ in Mandarin to her little sister. Can you feel me beaming? It’s an indescribably amazing feeling to see your child leave you in the dust and learn something you simply don’t have the ability to teach them. And it’s refreshing to be able to learn bits and pieces of a new language from my daughter every day. It reminds me of why I love languages so much in the first place – there’s nothing like that aha! moment when run-on sounds separate into discernible words in your head. And yes, I can count to 20 in Mandarin, and we’re working on writing Chinese characters together. And I can even sing (so, so awfully) some of the simple children’s songs she’s learned, although she’s always correcting me. Yes, a 4-year-old is correcting me on my language skills. I love it. And yet, I do worry about putting her Spanish language learning on the back burner. Will she end up speaking broken Spanish? Possibly. Will she be able to understand her abuelos? She does a pretty decent job already. But what really gives me hope is that I took enough college Spanish literature courses with enough non-Latinos who spoke, read and wrote Spanish just beautifully – and most first learned it in high school. So yes, I think the Spanish will come, eventually. In the meantime, I’ve got a second daughter who is 11 months old, who listens and dances to Cri-Cri, El Grillito Cantor and is read to in Spanish almost every day now. For that matter, I still read to my older daughter in Spanish, too, and she Skypes in Spanish with her abuelos often. 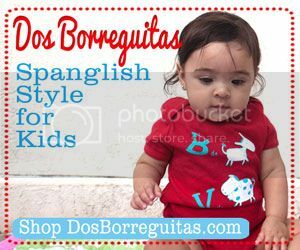 So all is not lost in our quest to teach our children Spanish, and we are still very much a proud Spanglish family, only know, with a little slice of Mandarin thrown in for more flavor. Have you considered enrolling your child in a language immersion program other than Spanish? What language have you considered, and why? My 6 year old nephew is in his second year in a mandarin chinese immersion school. We are Mexican, my brother in law is Honduran. My sister knows that we can and are giving him the cultural and language primer for Spanish. My sister enrolled him in the “chinese school” for all the reasons you mentioned: we can’t teach him chinese, the importance of the language is only going to increase, and this will give him a competitive advantage when he grows up. This also gives him an experience, a different perspective, that we could never achieve otherwise. My sister gets a lot of criticism. Family and friends all believe he should be in spanish immersion instead. They don’t understand why they would choose to enroll him in chinese instead. My daughter is in a Spanish full immersion program, with Mandarin enrichment. If they follow through with both languages through the middle school and high school level, they’re expected to be fully fluent in both by graduation. Pretty amaxing! My husband Speaks Spanish, but I don’t (well not much), but since his work schedule limits his time with her, she hasn’t learned much Spanish, which prompted us to go with full immersion. If I was able to give her enough Spanish at home, I could easily imaging doing the same thing you did, because why not give them as many languages as possible?! Our oldest son was interested in Mandarin at one time. But one thing after another and by the time I enrolled him, he had lost interest. Now our middle daughter is interested in Japanese (we are friends with a Mexican/Japanese family) and I am more than willing to support that. While we probably couldn’t enroll her in Japanese immersion during the school year, there is a Japanese immersion camp during the summer that may be an option. And I’m sure it would be so cool for her, for all the reasons you mention above. Thanks for reinforcing language acquisition – it’s so important for any reason, and heritage isn’t the only one. Stay strong and watch the family become proud of your trilingual daughter one day! We also spent a lot of time trying to decide between Chinese Mandarin and Spanish Immersion for my kindergartner. We too decided for Chinese immersion for the same reasons. At this age they are “learning” pretty much as easily as when learning their first language. It requires much more effort and time to learn it when they are older. 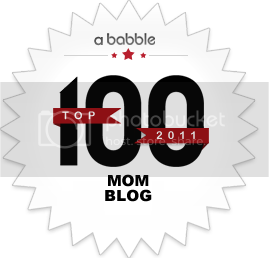 I am a Spanish native speaker and only talk to my kids in Spanish. It is up to me now to keep the Spanish going strong. My son’s Spanish is pretty good and he is already learning so much Mandarin that I am so impressed. His little sister is absorbing a lot of it as well and likes to repeat the songs and phrases he says in Chinese. Sometimes I do worry about his Spanish getting behind, but then he surprises me by reading a few pages of his bedtime books in Spanish! I think he is very lucky to have the opportunity to become fluent in 3 languages at a young age. We have one more year to decide, but we are also considering Mandarin immersion vs Spanish immersion. My husband (not a Spanish-speaker) strongly believes that we should focus on Chinese for now since I will keep up the Spanish as well as my side of the family, but I am so torn! I am grateful for this post because I have not met anyone in our same situation, so it’s good to see that others have had to make a similar choice. I would love, love, love to hear how things go for all the families that have chosen Mandarin-immersion vs Spanish. We still have to make a decision, and I’m not yet sure which way we will go. Sandra – I will be more than happy to share my experience with you. I am not sure how to send you my email without publishing it here. Excellent blog and comments! My daughter is 2 and bilingual Span./Eng. My objective is to have her in a bilingual (S/E) school and speaking Spanish at home . I recently learned of a preschool doing two programs, one in Spanish and one in French (immersion), and it struck me that French would be great! What you mentioned about learning along with your children is what I thought about too. Plus I see my daughter already acquiring so much language; I think she’d love it. Chinese goes past my comfort level, but I think in a couple years I may well seek that out. Congratulations to all those parents who are facilitating these skills for the next generation. Thanks so much for sharing your experience. 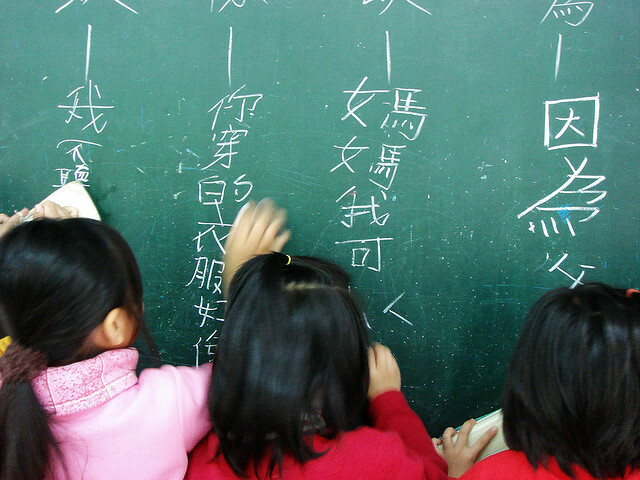 We are also interested in teaching Chinese as a third language to our children. We are using the OPOL method at home with Spanish and English, but are still looking for resources for them to learn Chinese. Have you learned if any good materials/websites to work from home? We are giving homeschooling a shot, and are currently using the Little Pim DVDs for children. Would love to be kept in the loop. Thanks! We were looking at a Spanish immersion program and we are hoping to register in one in the near future. I love language immersion program for young children. It is on a daily basis and it works great for young children. Our kids are learning Chinese at home with me and I am trying to keep it up. We are leaning Spanish as a family at a beginner’s level and the kids are having fun to explore the new language and the culture. It is great to hear your positive experience. I am looking forward to count and sing a few kids songs in Spanish soon. what a lovely post! I’m sure that your children will eventually be able to communicate in many languages and will be so grateful for your insight. I have to believe that there is no right “one path”, and so if it works for your family, then it is the best path for your children! As a parent, I loved your line about your children leaving you in the dust… it may sound strange, but there is really nothing better than watching your child achieve beyond yourself, right? anyway, good luck & awesome! I hope our children cross paths in the future! Thanks to all the commenters for all your encouragement. It’s so wonderful to connect with other parents who appreciate the value of teaching our kids about languages and culture (even when it’s not our own). Best of luck to everyone else as they seek out the best path for their child — as Amy said in the comment above, there’s no right “one path.” In our house, we’re basically going down three paths simultaneously, because English is definitely still a work in progress (building a strong vocabulary, correcting her when she conjugates things incorrectly, working on reading in English, etc. ), and then we throw in books, music, conversation in Spanish. And then the Mandarin … It’s a juggle, but well worth it. a huge part of other people will omit your magnificent writing due to this problem. I admire you for making that bold (and probably difficult) decision to enroll your child in a Chinese language immersion program. Since your article was posted more than 3 years ago, I’m wondering if she is still in the program right now? It is true that children learn languages faster than adults. Just think how fast they pick up terms that they learn from TV shows. I grew up learning 4 languages at the same time – Chinese Mandarin and Hokkien (a Chinese variant spoken widely in Southeast Asia), Tagalog, and English. It helped that my environment and the school gave me lots of opportunities to learn them. Books, music and TV shows helped to accelerate my learning. 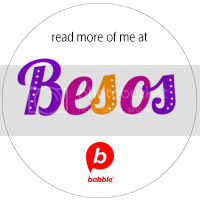 I took basic Spanish lessons in my early 20s and I felt my pace of learning was not as fast. I think it’s because there were very few people whom I can talk to in Spanish, and limited access to books and other materials. Anyway, I wish you success as you continue to nurture your children’s language learning!